the changing face of disney princesses – now with more agency! Disney shaped billions of childhoods around the world. Remember when you were little, and all you wanted to do was dress up in a big pink puff pastry dress and pretend a fairy godmother was coming by to whisk you away in a pumpkin? This, along with sitting around waiting for Prince Charming and “true love’s first kiss”, is something that today’s mothers are concerned about being imposed on their daughters. According to an article on Daily Life, Disney’s more recent features are moving away from the traditional, damsel-in-distress fairy tale, in favour of modern-day interpretations of women’s behaviour. These films emphasise the shift that Walt’s legacy is making towards active roles for female characters. The first few Disney princesses seemed to put much of their focus into finding a man to wed, and had little other substance to their characters. Cinderella’s one desire in life is to find “true love” (Cinderella, 1950). Which she does, with a man she dances with but barely speaks to. And Aurora of Sleeping Beauty (1959), somehow, purely by coincidence, falls in love with the very man she is betrothed to. Over time, Disney princesses became less submissive than Aurora or Cinderella. Theatrical releases when we were growing up cast stronger characters in the leads. Ariel, of The Little Mermaid (1989), is bored of life “under the sea” and seeks human adventure. Beauty and the Beast’s Belle (1991) is an avid reader with a quirky personality. Yes, both films’ turning points are love interests, but they also contain valuable anti-discrimination lessons and characters with personality. Contemporary Disney princesses are also assertive, strong-willed, and concerned about more than finding a male partner to engage in heterosexual relations with. However, the animated heroines have evolved, to the point where they don’t just defeat the stereotype of damsels in distress—they now cross what might have previously been considered boundaries to race, class and “classic” beauty. The princess in this tale is not white, rich, or, for that matter, a “princess” at all. Tiana works as a waitress, but dreams of opening her own restaurant. She has a strong desire and ability to achieve the goals she sets for herself. If we compare her to her best friend, who is unintelligent and aspires to do little other than marry, we note that Tiana has higher priorities that differ from romantic aspirations. Additionally, she is one of the few non-anglo protagonists featured in the Disney repertoire. Forget what you know about this longhaired princess; Disney’s Rapunzel is a feisty young girl with a dream of leaving the tower her mother has her trapped in. She even beats up a man with a frying pan! And (spoiler alert!) the film ends with her chopping off all her golden hair to become an equally beautiful princess with short brown hair. Tangled shows that even young women trapped in towers are able to defeat the stereotypical damsel in distress and common notions of physical beauty. Merida doesn’t even have a love interest. Rather, she wants to be able to choose the person she would love. The film is about a mother-daughter conflict, which comes about when her mother tries to force Merida into an arranged marriage. Further, our Scottish heroine doesn’t look like a typically “ladylike” Disney princess, with wild unruly red hair, and she certainly doesn’t act like one, with a mind to think for herself and a keen eye for an archery target. The most recent addition to the Disney princess catalogue has her own television show. The eponymous character of new Disney Channel animated series Sofia the First begins her trajectory a commoner, and becomes a princess through her mother’s marriage to a king. Sofia the First, which began in Australia early February, seems to aim to teach young children basic moral values such as kindness, honesty and the importance of inner beauty. As the series progresses, Sofia learns that no matter how beautiful she is on the outside (aided by expensive frocks and tiaras), it is her personality that establishes her royal status. Seeing the way these princesses fight various stereotypes, Disney fans can now wait in anticipation for future productions to match or possibly (hopefully!) 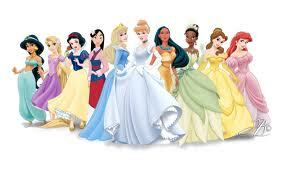 surpass these recent princesses’ contemporary confidence and boldness as female role models. Sure, there’s that tiny bit of nostalgia lurking in the back of our minds, where we used to lie down in an itchy bright blue dress, waiting for Prince Charming to kiss us and wake us up. But looking back on that with a twentieth century eye endows us with the knowledge and maturity to say that we don’t necessarily want the children around us to aspire to naïve or unconscious damsels in distress. What do you think, Lipsters? Are these new princesses more empowered? Or is it the same story in a new package? This entry was posted in Featured and tagged children, disney, empowerment, female characters, film. Bookmark the permalink.